After 3 years of research and development, we are proud to offer an entirely locally sourced racing axe, designed in collaboration with Stihl Timbersports Competitor Walt Page. The Chopping Axe features a 7.75” x 7.5" competition racing head. It's made from high-quality tool steel, using bare hands and ingenuity in our own West Coast shop. Each head is heat-treated to 58 rockwell and has a tolerance level of .003, guaranteeing each to be exact in shape and size. We'll finish the head to your preference of polished or unpolished, and leave the final grind and shaping to you. Contact us for further information on finishing. 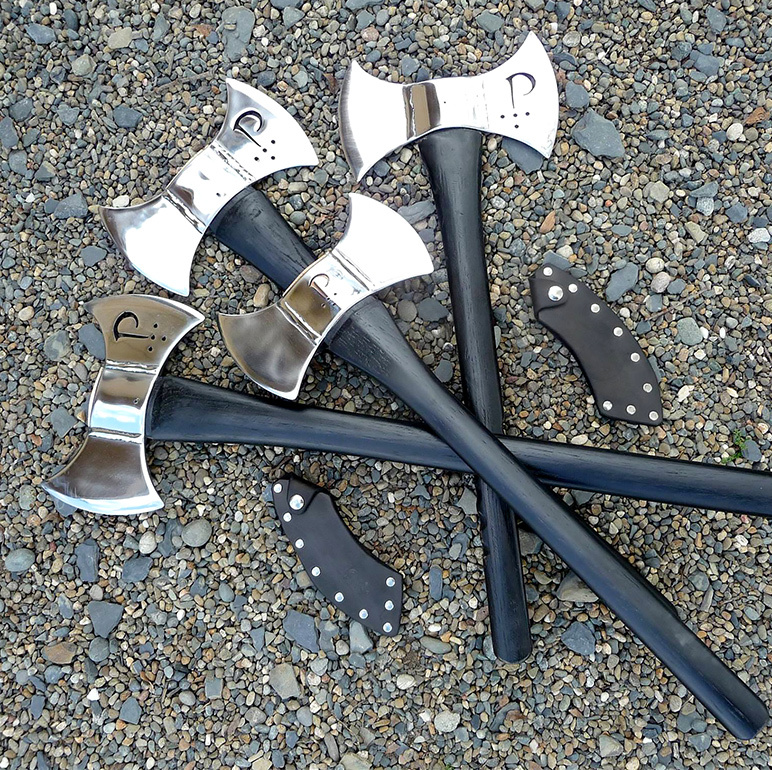 Each axe features the "Precision Axes USA" logo and an identification number etched into the head. A handmade, hand-stitched leather sheath with Velcro closure accompanies each finished axe. Offered in limited supply. Please contact us for a quote and time frames. Pricing is comparable to similar axes found on the market.